A prolific, English-born poet, he is considered one of the greatest authors of the twentieth century. 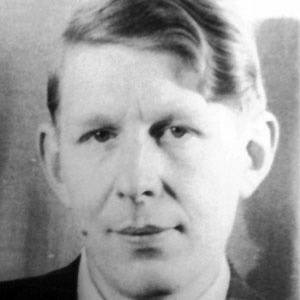 His best-known poems include "Funeral Blues," "Musee des Beaux Arts," and "The Unknown Citizen." He studied English at Christ Church, Oxford. T.S. Eliot and Faber & Faber published his first poetry collection, Poems, in 1930. He wrote the famous poem, "Funeral Blues," also known as "Stop All the Clocks," in 1938. A homosexual, he began a two-year romantic relationship with poet Chester Kallman in 1939. He also had both a literary and an occasionally romantic relationship with Christopher Isherwood. In 1935, he married German author and actress, Erika Mann, for the sole purpose of securing her British citizenship. He collaborated with Christopher Isherwood throughout his career.